Volodymyr Dudka used to work in the ex-defence minister's office in Sevastopol. 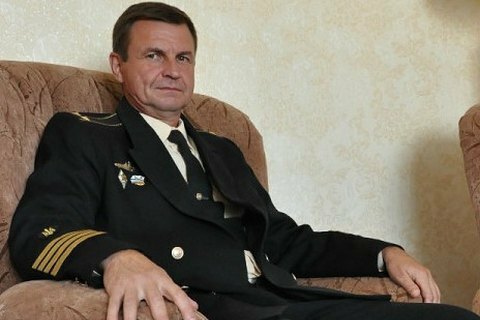 The third person arrested by the Russian authorities in Crimea on suspicion of sabotage is a member of the Union of Intelligence Veterans of Ukraine NGO, Reserve Capt 2nd Rnk Volodymyr Dudka, according to the pro-Ukrainian Crimean online community KrymSOS. It said it found online a Sevastopol resident who has the same last name and initials as one of the detained persons. After attempts to contact him, his son blocked the messages, did not show up for work and does not take calls. Other relatives confirmed Dudka's arrest. According to open-source information, Dudka was the captain of the Jupiter signals intelligence ship in 1997-2001. In 2013, he became a member of the regional public reception office of Ukraine's Defence Minister Pavlo Lebedev in Sevastopol. On 10 November, the Russian Federal Security Service (FSB) said it had detained a Ukrainian "sabotage group". Two of the three detained persons are Dmytro Shtyblikov and Oleksiy Besarabov, experts of the Nomos analytical centre, which had worked in Sevastopol until the beginning of 2014. The FSB accused them of plotting acts of sabotage in Crimea. A local Russia-controlled court arrested them for two months. Ukraine dismissed the FSB allegations as untrue. Myroslava Gongadze: "Ukrainian votes to matter in US presidential election in Florida, Illinois, Ohio and Pennsylvania"